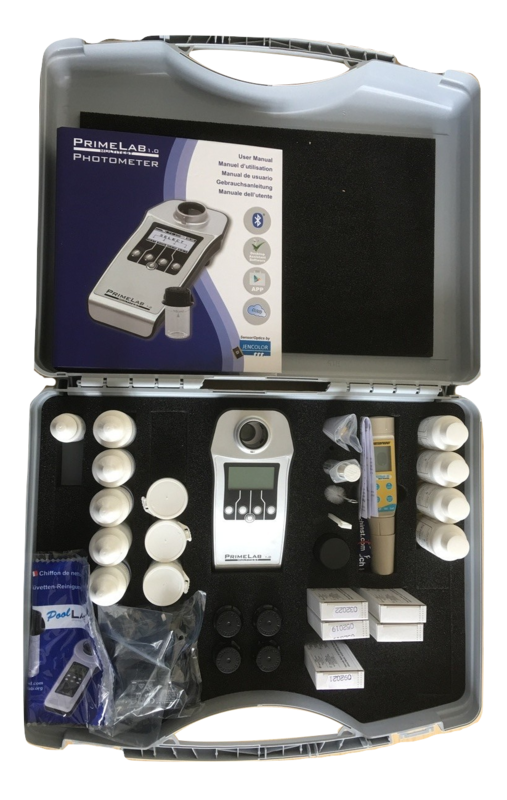 Our PrimeLab BSRIA BG50 Engineers spec photometer test kit comes in a robust Tekno 2018 case. Designed to cover the tests stated in BG50 our versatile test kit comes with everything you need in one handy, easy to carry case. A user friendly design allows for maximum use with over 20 bottles/tablet boxes able to fit in the case ensuring a full range of testing. The choice of case also allows for customisation such as adding additional tests, swapping parameters or swapping equipment. The PrimeLab is handheld, battery & mains operated. With Bluetooth, it is an expandable and portable photometer that is incredibly accurate, giving the confidence and flexibility for use on a range of water systems.